Edgerton's photographs often turn the mundane into the magical. So it was with the simple act of releasing a pigeon. As it leaves its trainer's hands, the bird spreads its wings to their fullest extent, revealing the complexity of its plumage and the aerodynamics of its tail feathers which stabilize the ascent. 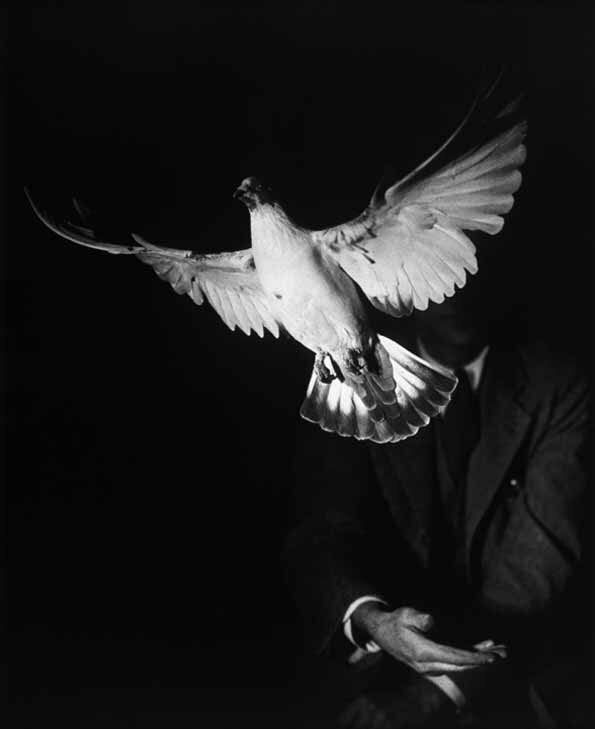 In the 1/100,000th of a second flash, the pigeon becomes a dove.